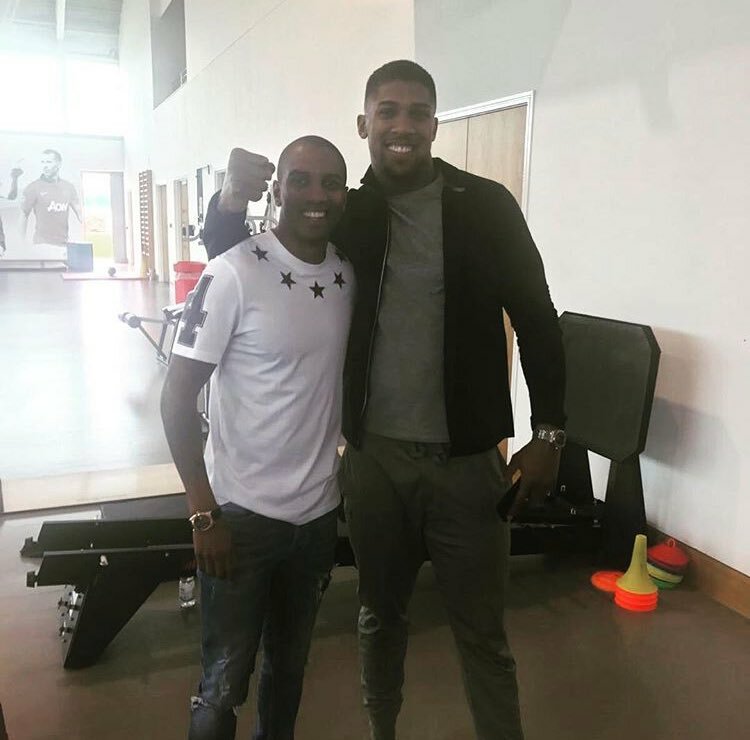 After his record breaking heavyweight boxing clash against Vladimir Klitschko, Anthony Joshua has visited the Aon Training Complex during his well earned post-fight downtime. 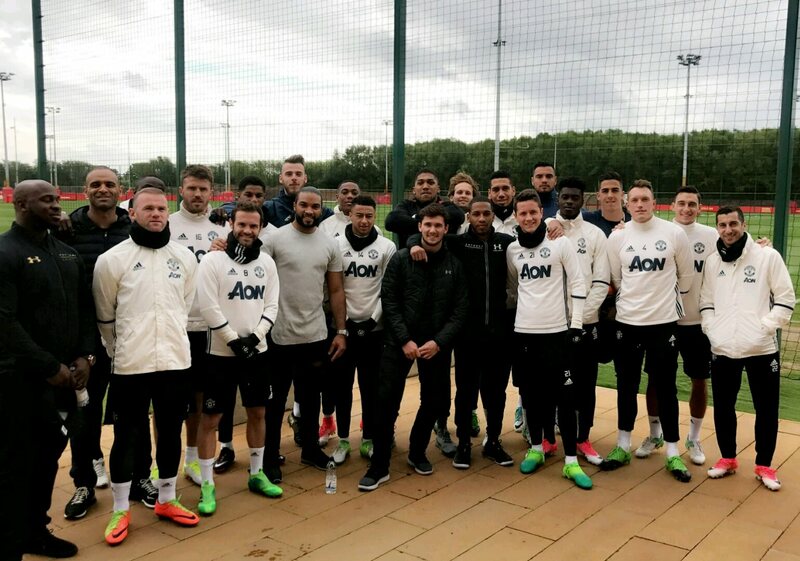 Anthony Joshua and his team visited Manchester United’s training ground on Saturday and were toured around the complex before posing for pictures with the majority of the United squad. Ashley Young hailed the boxing champion on Instagram. 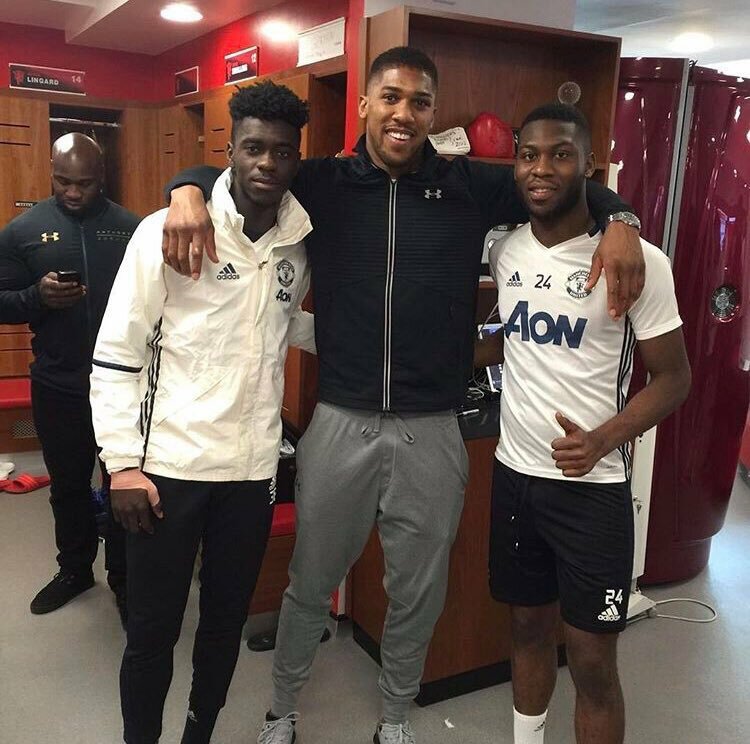 “Such a humble and inspirational guy” he praised, with Timothy Fosu-Mensah and Axel Tuanzebe taking a trip to their African routes with Joshua, and later joking that Nigerian food is better than Ghanaian food. Joshua started his day at the training ground with a live stream on his Instagram account. It featured Jesse Lingard, Marcus Rashford and Anthony Martial taking penalties against AJ’s team as well as some casual chat between the players. Anthony Joshua’s next fight is yet to be announced but there are strong rumours circulating that it could be against none other than Tyson Fury, a Manchester United fan himself.